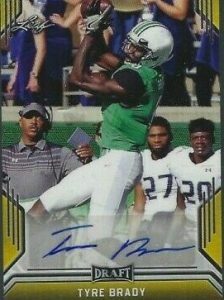 2019 Leaf Draft - Football Card Checklist	Overall rating:	2	out of 5 based on 1	reviews. 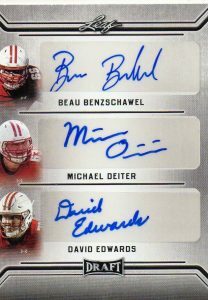 2019 Leaf Draft Football is an unlicensed product that offers autographs of some NFL hopefuls. Fans can view this as a chance at grabbing some early autographs of the future stars of the big leagues. 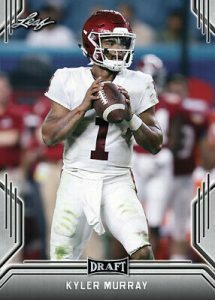 This is not a large set, nor is it expensive, but the right card could be a big win for lucky collectors. 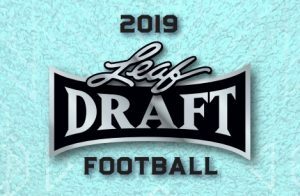 2019 Leaf Draft comes in two different formats, Hobby and Retail. 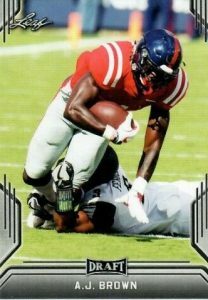 Some cards have to be obtained through redemptions. but Leaf is usually pretty good at getting fans the cards quickly.